The books of Brian Dillon are much less stable than most. They’re strange, amorphous things, flexible in their forms, apt to change shape depending on the company they keep. Dillon’s most recent release, though not his most recent output, is called In the Dark Room and, like his last book, it’s a case in point. As with many readers new to Dillon, I came across his work last year, when Fitzcarraldo Editions published Essayism. The premise of Essayism, in brief, was arid — could anything be more dull than a history of the literary essay? — but the book turned out to have an engrossing power that made it hard to resist reading straight through after sampling only a couple of pages. I remember picking it up and scanning the opening chapter, expecting nothing much to draw me in, and then I remember reaching its final words, hours later, as if roused from a dream to find my skepticism shattered. With that experience fresh in mind, it’d be fair to say that my hopes for Dillon’s next book were high. As it turns out, they weren’t so high that they couldn’t be met. In the Dark Room doesn’t require any prior knowledge of Essayism, but readers of Essayism will find that the two books complement one another. Essayism, after all, isn’t solely concerned with essays; it’s a hybrid beast that dovetails literary criticism with heart-wrenching autobiography. Dillon begins the book by articulating a view of the essay as a form of writing which by definition amounts to “an effort, an attempt, a trial”, the pursuit of a line of thought “in fits and starts” of “surmise or hazard, followed likely by failure”. From this vantage point, to write an essay is to embark upon an inherently provisional undertaking, to never be really certain of where exactly you’re going or how best to get there. This makes the essay the form of writing most capable of reflecting life as we live it from moment to moment, fumbling along from one day to the next and largely blind to what lies ahead. In consequence, true to the essay’s formal capacities, Dillon interlaces Essayism with accounts of those times in his life when he has felt acutely the provisional nature of his existence, when events have plunged him deep into darkness and left him to essay his way out. These events revolve around two bouts of severe depression triggered by traumatic losses. Dillon’s first depressive episode followed the almost back-to-back deaths of his parents when he was a young man. The second, more debilitating episode followed the collapse of a relationship that had flourished throughout a decade free from depression. During that decade, Dillon had grown to believe that his depression was behind him. When it returned in a more ferocious form, even pushing him to the brink of suicide, he was forced to reassess his decade of freedom and see it instead as just a lull in a larger, lifelong struggle. At any given moment, Dillon has come to realise, his depression might be in a greater or lesser state of abeyance, but it’s something that will be with him for the rest of his days. It is, in other words, a condition he is perpetually catching up with, perpetually in the thick of, and his provisional grasp on his own experiences leaves him grappling with the same mindset that animates the form of the essay. Ultimately, then, Dillon intends for Essayism to probe the complexities of lifelong depression, but he girds himself against the trauma at the heart of his true subject by using an analysis of essayistic conventions to confront depression indirectly. Then again — is that true? Many reviewers of Essayism read it as a work of literary criticism augmented with insights drawn from Dillon’s struggles with depression, as if his experiences warranted discussion as support mechanisms for the critical investigations that were his primary interest. Maybe I misread the book. Maybe I had its meaning inside-out. Or maybe, as above, Dillon’s books change shape depending on the books they’re placed in proximity to. Before I picked up Essayism, I’d been revisiting William Styron’s Darkness Visible (1990). Maybe the energies of that book had warped my reading of Dillon’s. If I’d discovered Essayism after reading, say, Rebecca Solnit or Susan Sontag, no doubt it would’ve taken on a different shape. In the Dark Room is as much a shapeshifter as its predecessor, although the strongest influence on the new book comes from Essayism itself. While this is partly due to the elegant house design of Fitzcarraldo Editions, which gives the two books a visual kinship, it’s mostly due to the ways in which In the Dark Room revisits and elaborates on some of the events that Essayism only sketches out. Dwelling at length on the aftermath of the deaths of Dillon’s parents, In the Dark Room both extends the earlier, attenuated accounts of Dillon’s trauma into a broader narrative and develops summarised events into scenes of vivid detail. So, for example, Dillon describes not only the protracted illness that eventually took his mother’s life, but also how the pain of it affected her faith in God and how its duration impacted her relationships with her husband and sons as they took on caregiving duties. Then, too, he respectfully considers his father’s youthful hopes and thwarted creative ambitions, and he assesses the ways in which they might have influenced the trajectory of his own life. The end result might strike some readers as simply an instance of “life writing”, but really it’s a book every bit as restless as Essayism and as unwilling to settle into a single, stable shape. Its variety of life writing is one that stems less from the living of a life than from observing lives in withdrawal — from a heightened consciousness of how the world is slicked over with the residue of lives that have long since ebbed away. In the Dark Room is divided into five sections: “House”, “Things”, “Photographs”, “Bodies”, and “Places”. In each section, Dillon turns his attention to something physical, something tangible, in order to reconceive it as a worldly anchor for a host of ungraspable abstractions. Whatever he alights upon, he takes it first as a spur for memoir — the house he finds empty after his parents’ deaths leads him to describe growing up there; a stash of personal papers leads him to reflect on the lives his parents led before children arrived on the scene — and then he attempts to extract from it some understanding of phenomena that escape the reach of the senses. Dillon finds an unshakeable “ache for the past” “accruing to objects and images”, clinging to the everyday stuff left behind by people who are no longer here, and in his efforts to dispel this ache he locates its source just beyond the limits of sight and touch. It spills out of what he calls “the void” that abuts “the visible and tangible world”, a realm of pure memory from which reminiscences flood into habitable spaces and latch onto material things. Memories themselves may not take on a physical form, but they intrude upon consciousness by way of a distinctly embodied experience: they surge into the mind when a perceptive, sensate human being encounters a visible, tactile thing to which memories have been tethered. For Dillon, then, memory is almost literally an adhesive substance; memories stick fast to the surfaces of spaces that have hosted memorable events. Early on, to illustrate this notion, he writes of sensing a darkness emanating from the “living walls” of his parents’ house, “from the accumulated residue of a life unfolding into chaos and fear at the same time as it became imprisoned in this space which never seemed to change”. To live in the world is therefore to be continually surrounded by relics of the past, and to encounter these relics is to be continually thrown back into memory. “In their silent persistence”, Dillon writes, objects “call up other objects, other times and places; they attest to the workings of a memory which seems unable to leave them alone, which is forever settling once more on their surfaces”. Likewise, he says, his parents’ house “transforms every remembered incident into an arrangement of bodies in a given space,” so that he is now able to “stand at a specific spot in the house and feel myself thrust into an endless series of adjacent moments”. Every worldly thing he encounters is a trigger for a succession of memories which altogether confine him in an endless labyrinth of reminiscences. In tracing his path through this labyrinth, Dillon is careful to differentiate events as they actually occurred from events as he remembers them — and to distinguish the facts of his recollections from the distortions they incur under the pressure of his emotions. In effect, he filters all of his reminiscences simultaneously through at least three different temporal viewpoints. At the simplest level, he describes events and the emotional associations they developed at the time they unfolded. On a more reflective level, he discusses the way these events appear to him now, viewed through “the thick portal of mourning” and coloured by a patina of grief. Then, pressing forward on a level of rigorous self-scrutiny, Dillon occasionally pauses to consider how even the grief he feels in recounting events might be affected, shaded, by fluctuations in his emotional wellbeing, by subsequent developments in his habits of thinking, and by the unpredictable ebb and flow of moods. 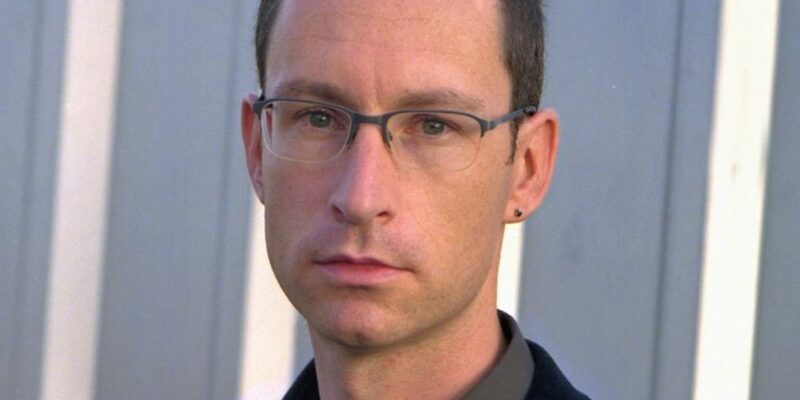 Ironically, Dillon’s self-scrutiny directs him back the work of other writers who have taken up memory as their subject. As if looking to them for support, or searching their words for certainties to offset his confusions, he punctuates his prose with insights from Adorno, Benjamin, Barthes, and Merleau-Ponty, as well as De Quincey, Proust, Perec, E.M. Cioran, Gabriel Josipovici, and others. His range of references here isn’t as broad as it is in Essayism, and he is less interested in engaging with the substance of these writers’ intellectual endeavours than in refiguring their remarks on memory as ballast for his own project. Still, the effect is not unlike that of Dillon’s last book. Poring over the most emotionally raw material available to him — material absolutely radiant with grief — he repeatedly attempts to sift through its intellectual implications and he enlists others, from time to time, to help him obtain the sobriety he needs. The result is a work of formidable intricacy, both conceptually and stylistically. Dillon’s thoughts shuttle back and forth rapidly between the abstract and the concrete, between the ethereal and the corporeal, sometimes in the space of just a sentence or two. He unpicks the fibres of the experiences that have impressed memories upon things he can see and touch, and he seizes at spontaneous recollections and sutures them to objects and locales. Moreover, he does all this with great care for both the lyricism of his own prose and the pertinence of words drawn from other sources. Of particular note are Dillon’s inimitable sentences. They tend to be long, recondite, and elaborate, yet also rhythmic and eloquent: mimetic of the flow of his thoughts. They are also often convoluted, sometimes obscure, packed with digressions and qualifications in subclauses, parentheses, and asides — not in ways that are purposefully opaque or impenetrable, but in ways that strike an unconventional balance between the sense of a statement and the sensuousness of the prose. They string out their substance along syntactical lines that loop back onto themselves, tying into other lines from other works, other pages, threading the entire book with thoughts that are often begun in a place far removed from where they reach their conclusions. To follow each of them all the way through can require real work on the part of the reader — painstaking attention to modifiers, conjunctions, and punctuation — but the reward for the reader’s labours is prose of such fine textures of meaning and prosody that it is actually able to simulate some of the bodily sensations it describes. It’s no secret that Dillon is able to write in a range of forms and to glide gracefully between them; he has an impressive track record as both an art critic and a literary critic, among other roles. What’s startling about In the Dark Room is his seamless integration of various forms of writing into a book that unfolds in several different directions, and operates in several different registers, without ever letting the whole feel hazy, muddled, or lacking in direction. Whether his nominal subject is the work of the sculptor Rachel Whiteread, the architectural phenomenology of Gaston Bachelard, or the pioneering portraiture of August Sander, Dillon discusses it with ease and deftly interweaves it with both his personal narrative and his growing understanding of how memory intersects with the world. His remarks on photography, in particular, pay tribute to Roland Barthes’ Camera Lucida (1980) and even rival the force of Barthes’ reflections on the death of his mother. Dillon is at his very best, however, when he is writing with precision and candour about illness and its degradations, its visible effects on the body, and its impact on the consciousness of those who take care of its victims. Its visible portents are also its first agonies: it is prefaced by the slow onset of Raynaud’s syndrome, a not uncommon affliction by which the hands, when subjected to cold, turn white, then blue. … There follows a thickening of the skin which may be confined or diffused about the body: the skin hardens, becoming shiny and impermeable (pores close, hair follicles are destroyed). At this point in its progression, the disease can be most distressing simply in its alarming effects on the face. The patient, it is said, feels as if she were being given a slow facelift. But the process continues until the face has not merely tightened, but noticeably altered in shape. Experts have offered the grotesque term Mauskopf to denote this new and, for the patient, terrifyingly alien face, which looks as though it were being pinched, contracting around the nose and mouth. The face, in fact, becomes a mask: lips, nose, eyelids and cheeks all lose their mobility; speech becomes difficult, and eating more so, as the mouth shrinks and sharp lines are incised around the lips. Dillon lets this litany of afflictions roll out across several pages — broken blood vessels, acid reflux, muscle deterioration, calcification of tissues, fibrosis of the lungs, the slow shutdown of the entire body — and with each awful, immobilising distress followed immediately by another, the prose becomes as frantic, as breathless, as the sufferer. The same is true of the prose in Dillon’s descriptions of the hypochondria that beset him in the wake of his mother’s death and then the heart attack that killed his father. Without even having had time to process his double loss, he became convinced not only that he was incurably ill but also that his illness, whatever it was, would quickly prove to be terminal. “Tiny moles grew to deep-rooted melanomic proportions under my gaze”, he writes, while “faint rashes flourished, lurid and efflorescent, into lifetimes of disfigurement”, and the pace at which he unspools his imaginary symptoms conveys the intensity of the panic that once gripped him for weeks at a time. Looking back now on the years he lost to “habitual dread”, he finds himself still disturbed by the “sickening waste of time, the hours I spent in dazed and appalled concentration on symptoms which disappeared with even the most cursory examination”. In offering this self-assessment, of course, Dillon reveals for his readers the more temperate, more reflective state of mind that would eventually be troubled by the relapse of the depression he describes in Essayism. He effectively clears a space in the miasma of his grief where this book can intersect with that one, and there are certain places in In the Dark Room where even Dillon’s placid sentences implicitly contain as many seeds of his later woes as do his more panicked ones. That said, some readers will likely resist the notion that In the Dark Room is of a piece with Essayism because the new book is in fact the more dated. As above, it is Dillon’s most recent release but not his most recent output; it was originally published by Penguin in 2005, during the boom in so-called “misery memoirs”, and Fitzcarraldo Editions have now reissued it in a lightly amended form with a new foreword by Frances Wilson. No doubt there will be those who approach the book simply on those terms, simply as a reprint. Once again, though, Dillon’s books are shapeshifters, and this one, plucked from its original context, expands to fill the contours of its new place in the Fitzcarraldo lineup. 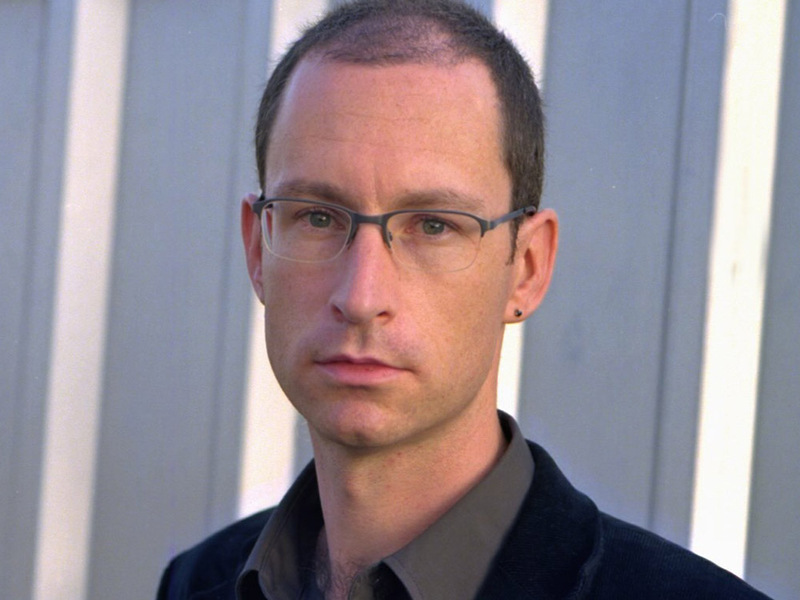 Whereas it once appeared at the height of a literary trend that construed it as an unusually intelligent account of youthful trauma, it appears now amidst a stable of similarly amorphous, conceptually ambitious books by the likes of Simon Critchley, Ben Lerner, and Daisy Hildyard, in addition to the more recent work of Dillon himself. Its placement in this company gives it dimensions it didn’t have before. Specifically, its arrival after Essayism, which Dillon wrote as his second wave of depression subsided, recontextualises In the Dark Room as a report from the calm trough between the two swells. Essayism looks back on old habits of thought and traces their limitations, but In the Dark Room is a product of them — a testimony that issues from them — and so it conveys Dillon’s sense of embarking upon a slow, steady recovery whose reversal he can’t yet anticipate. Because the two books are so complementary, it’s difficult to think of either one as in some sense better than the other. It’s more accurate to say that Essayism has found its other half or its missing twin — that Essayism, with its interest in the workings of the mind, opens up a dualism which has now been resolved by the bodily focus of In the Dark Room. Where Essayism explores the rhythms and contours of thought, In the Dark Room is alert to the body’s function as a conductor of thought in its interactions with world, and where Essayism applies intellectual scrutiny to its author’s personal traumas, In the Dark Room allows readers to see the embodied effects of their emotional fallout. 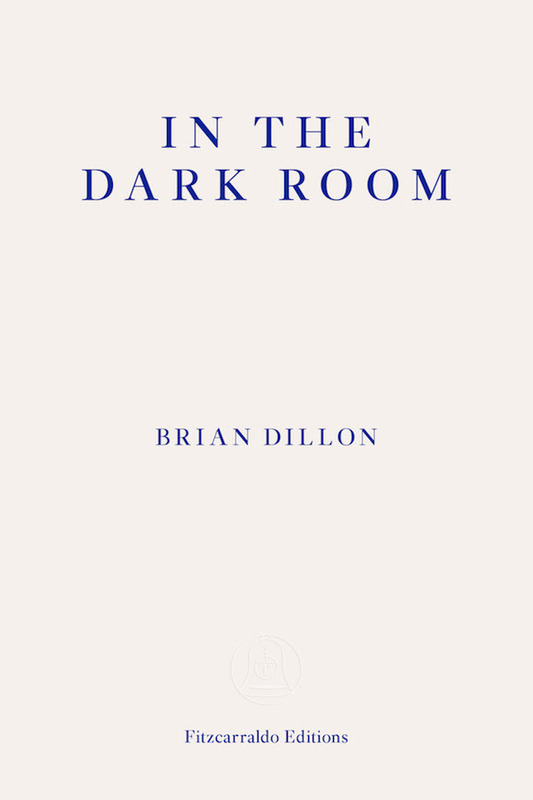 If In the Dark Room is less aphoristic and less incisive than Essayism, written less out of a burning urgency and somewhat less open to voices from beyond Dillon’s immediate surroundings, it is more vivid and more visceral, more harrowing, more attentive to the manifold sensations of being an incarnate creature. The shape of the book, at least for now, is one that makes it capable of fully embracing another — capacious enough to draw it close, loose enough to yield to its pressures, expansive enough to enfold it in turn.